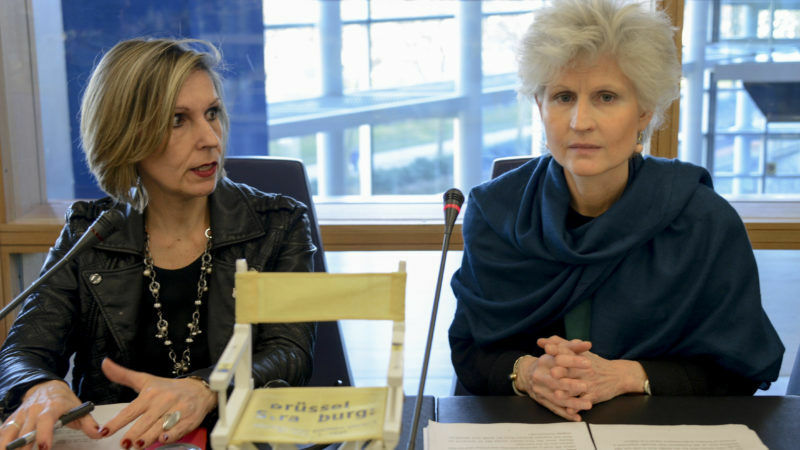 This op-ed is co-signed by the group’s chair Anna Maria Corazza Bildt (EPP, Sweden), vice-chairs Pina Picierno (S&D, Italy), Ashley Fox (ECR, UK), Beatriz Becerra (ALDE, Spain), Dennis De Jong (GUE-NGL, Netherlands) and Ulrike Lunacek (Greens-EFA, Austria). It’s an old compromise that once located the European Parliament in Strasbourg, although subsequently more and more of its actual day to day work has been carried out in Brussels. A protocol to the treaties from 1992 still mandates the Parliament to hold 12 sessions per year in Strasbourg, and that’s where the waste sets in. And it’s not a minor issue. Thousands of people have to be relocated from Brussels to Strasbourg for each of these sessions. Official estimates talk of a cost of at least €114m annually and that the traveling circus creates 19,000 tonnes to CO2 emissions every year. For the EU to be credible we need to be consistent. We must practice what we preach. We also have a responsibility not to let the issue of the seat fall into the hands of populists who use it against the EU. As elected members of the European Parliament we are powerless to change this, but we have the power to ask the member states for treaty change under Article 48 of the TEU, for the Parliament to decide on its seat. Year after year we have voted with large majorities to end this wasteful circus, but so far to no avail. The “Single Seat Campaign” has broad support across party groups and nations. We want a European Parliament more efficient, less polluting and less costly, closer to citizens. We are for democracy, for Europe, for dialogue. Our goal is for the Parliament to decide on when and where to meet. Strasbourg is indeed a symbol of peace and reconciliation, for us and generations to come, but this powerful symbol is by no means a function of the European Parliament meeting there monthly. If institutions are necessary for the symbolism, this delightful city is already the seat of both the Council of Europe and the European Court of Human Rights. It also hosts the common French-German army brigade. The EU should not allow a symbol of peace in Europe to become a symbol of waste. We have a duty to our citizens to see that the EU budgets are spent in the wisest way possible, and with budgets getting increasingly tight with the exit of the United Kingdom, there is simply no way in which anyone can defend this meaningless commute of the European Parliament. This July was important in that the European Parliament for the first time set a debate on its seats in its plenary session, reflecting the increasing pressure on the issue. The painful process of Brexit will force us to reconsider many issues, notably budgetary ones. But it must also make us more alert to the concerns of our citizens on issues of wasteful spending and unnecessary bureaucracy. It also opens up issues related to the location of different EU bodies, and in this process there might well be new opportunities to find solutions acceptable to all – even to France – in order to get a resolution of this issue. We hope, for example, that France will ask for the important European Medicines Agency, based in London, to be located in Strasbourg. The Single Seat Campaign is presently drawing up an Action Plan looking at the different possibilities of moving this important issue further. The European Parliament is gradually becoming more and more important. In recent years, statesmen from all over the world have come to address its 752 members, and through them the peoples of Europe. It should also not be forgotten that it has co-legislative powers with the EU governments in the Council of Ministers. The efficiency of the Parliament clearly calls for an end to the circus, but so does our firm responsibility to the taxpayers and our will to reconnect with the citizens of Europe. There are many things we should spend money on – but certainly not on this wasteful exercise. The European Parliament deserves one seat – and it should be in Brussels. Of course, the key player is France. Any realistic option should provide France with both economic and political benefits. We are reaching out to France with a positive attitude and offer to engage in a constructive dialogue to find win-win solutions for a better Europe closer to citizens. No People are beginning to think : Is that how the E.U. is build ? A Tram-Institutions from D to A and then from B to C ? As long the E.U. doesn’t become a government the whole body is on the brink . but this doesn’t affect Merkel or Macron or Rutte . Leaders 19 of the Eurozone are still diarrhheign on business as usual whilst dis-protecting the E.U. Speaking about an “Cooperative” army instead an United one under one flag give proofs a clear sign of high nationalistic camorra thus still after decades . there is no reunification as it was stated in 1945. Europe is heading awkwardly backwards . A tramp-institution ! yes this is the correct word!